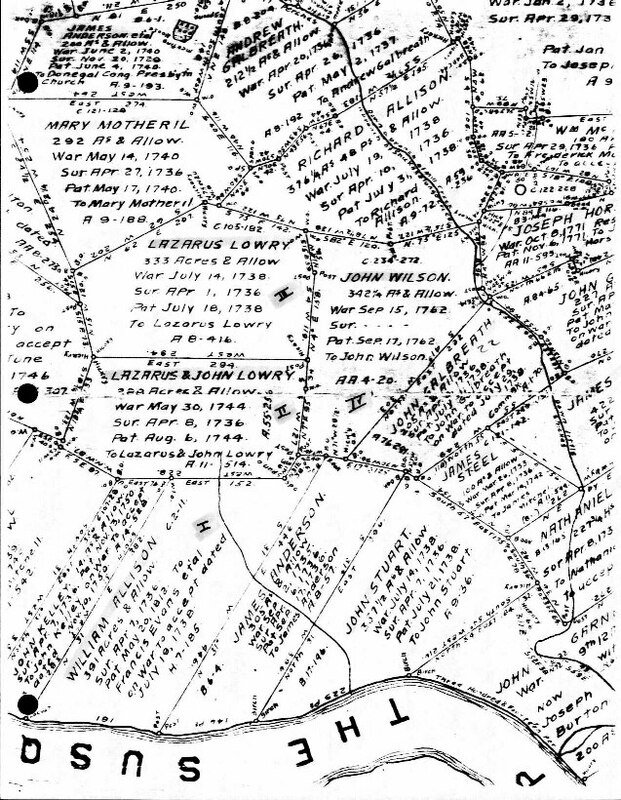 Early colonial records show that Peter Hairston and his family lived in Donegal, Lancaster County, Pennsylvania about 1730 and that they received a "Blunston License" for land in 1737. Other than these two references, I am not aware of any other documents relating to their stay in America prior to 1743. In the book A History of Lancaster County, by H.M.J. Klein, Ph.d., 1926, the following people were listed as having settled in Donegal area in 1730; James Buey, James Cook, Peter Hairston, James Hutchison, John Kelley, William and Alexander Mitchell, Thomas and John Scott. Survey for Peter Hairston dated 8 April 1736 by Samuel Blunston. Peter Hairston's survey of land as it appears today. Samuel Blunston issued 282 licenses for land west of the Susquehanna River from January24, 1734 to October 31, 1737. Samuel Blunston was the Deputy Surveyor and Justice of the Peace living in Lancaster. These licenses were for remote land were ownership was being disputed by Maryland, Pennsylvania, Germans, Scotch-Irish and the Indians. 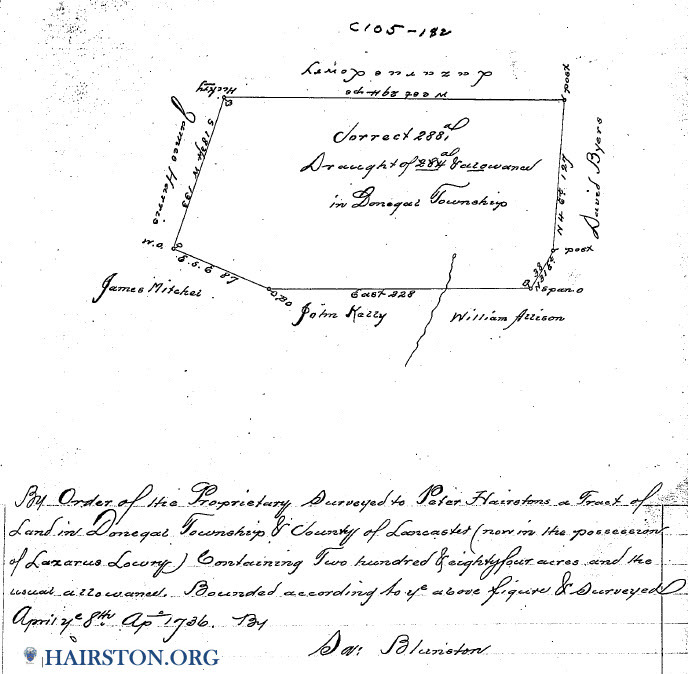 Two Blunston Licenses were issued on June 6, 1737 to Peter Hairstons and Andrew Hairstons. These licenses were issued for a total of 400 acres on the west side of the Susquehanna River in Pennsylvania. 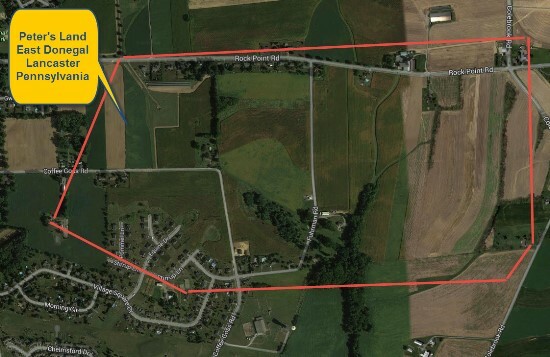 This land is currently in Franklin County, about 3 miles southwest of Greencastle, and just north of Hagerstown, Maryland. On the South side of the South East Branch of the Conegochege." On the South side of the North East Branch of the Conegochege in the fork." It is not clear if Peter and Andrew ever settled this land. They are not listed on any tax records.